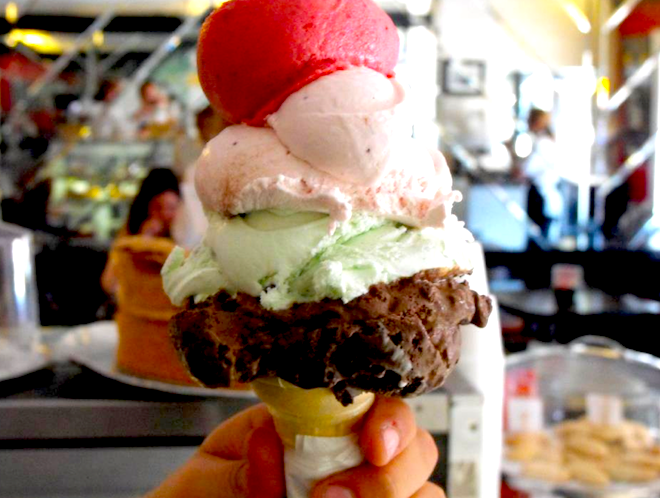 Al Gelato was one of Beverly Hills’ first neighborhood joints when it opened back in 1984. Known for its plentiful portions—slices of apple pie the size of a young woman’s head, brimming bowls of spaghetti and meatballs—and reasonable prices, the casual Italian eatery has been family owned and operated for all of its 30 years. To celebrate, Al Gelato is rolling back prices on all menu items today only. Some restrictions apply. Al Gelato, 806 S. Robertson Blvd., Beverly Hills, 310-659-8069.